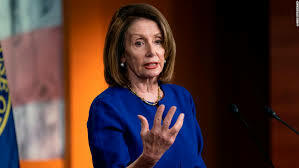 House Speaker Nancy Pelosi announced Monday that she's against impeaching President Trump "unless there's something so compelling and overwhelming and bipartisan." Which is exactly the point — there isn't. The speaker is surely up to speed on what evidence Democrats actually have against Trump and has a fair sense of what Special Counsel Bob Mueller's report will say. And she recognizes that it's nothing that will persuade anyone who hasn't wanted Trump ousted since Election Day 2016. Which means that moving to impeach him would be not just "divisive to the country," as she says, but also bad for Democrats — since it would show them as unable to resist the most demented demands of their base.